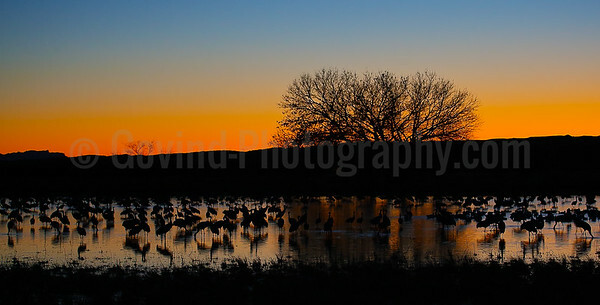 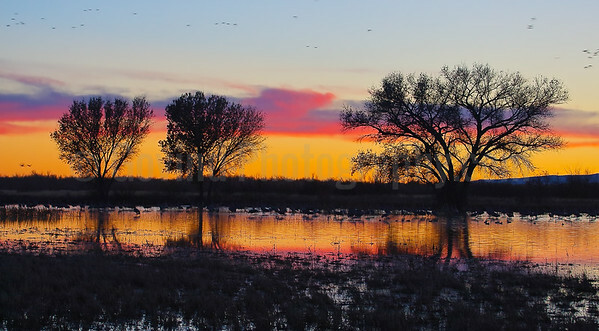 Cranes and snowgeese gather to roost at sunset on the Rio Grande river. 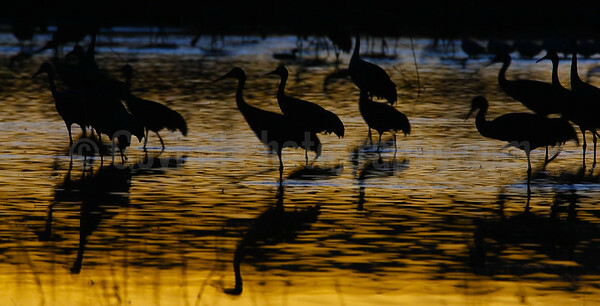 Cranes are some of the oldest birds alive with fossil records going to nearly 3 million years back. 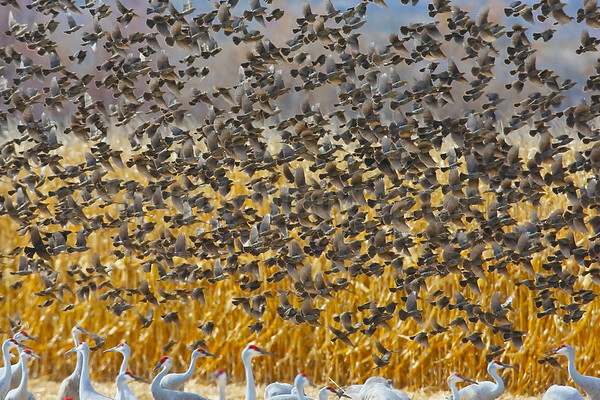 It is awe-inspiring to realize that we are witnessing a scene from a few million years back. 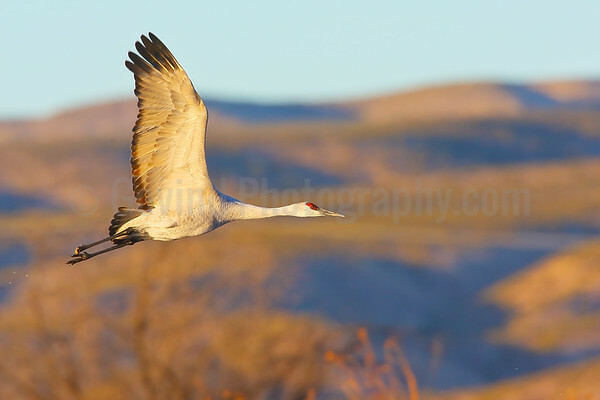 Sa sandhill crane pair takes off to start the day at the Bosque Del Apache NWR. 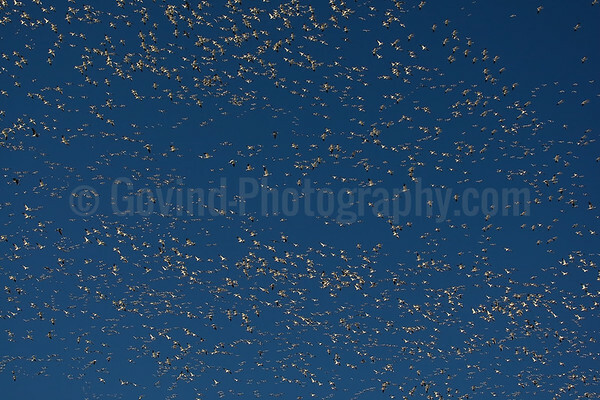 Cranes roost in large numbers, but unlike snowgeese, take off either in pairs or small numbers. 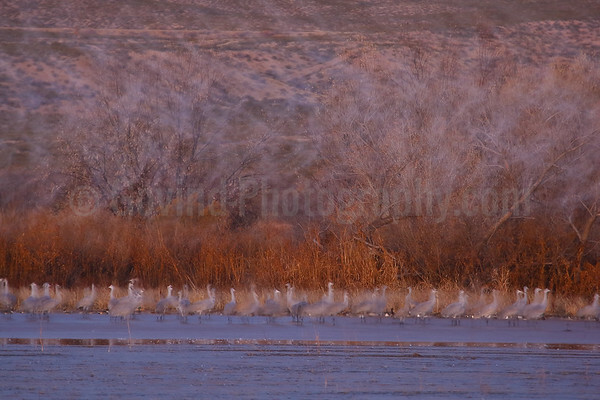 The rising sun made the background glow creating a complement to icy waters of the Rio Grande river. 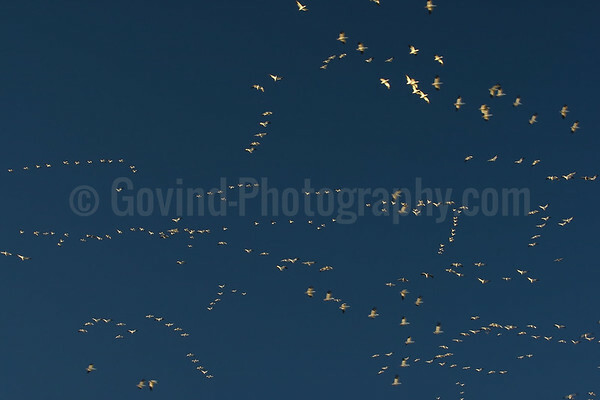 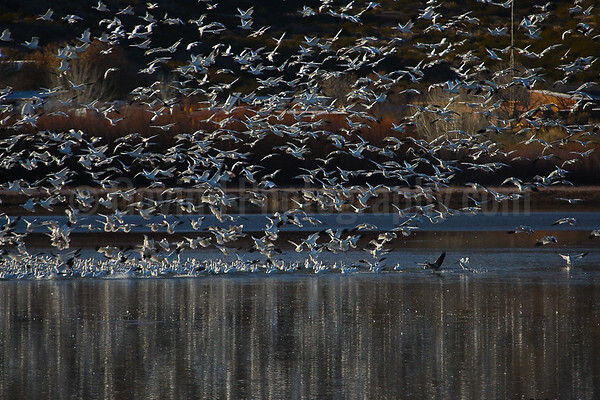 Snowgeese fill the skies in late afternoon at the Bosque Del Apache NWR. 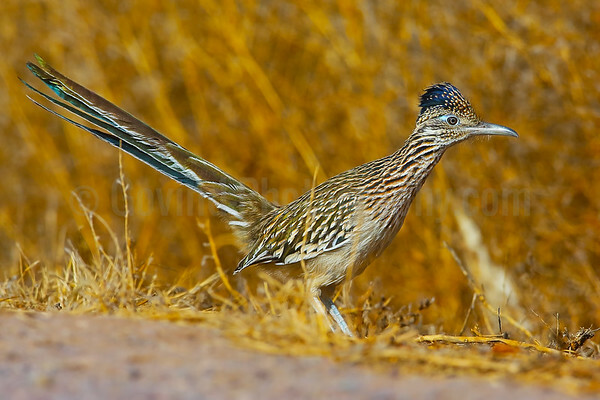 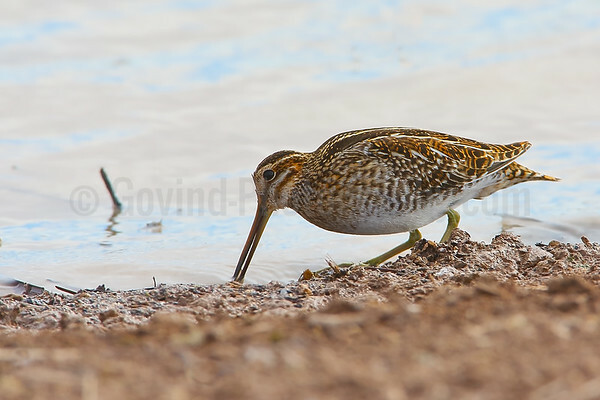 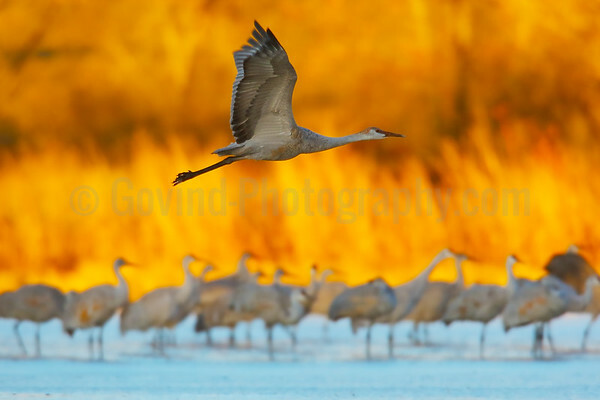 The gregarious nature of these birds provide opportunities for dramatic images. 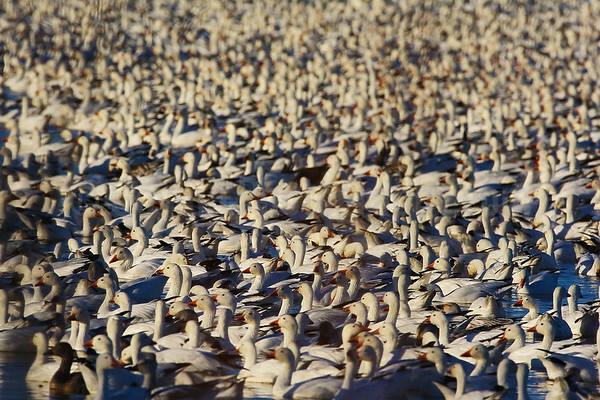 Snowgeese gather in the thousands to rest in the afternoon. 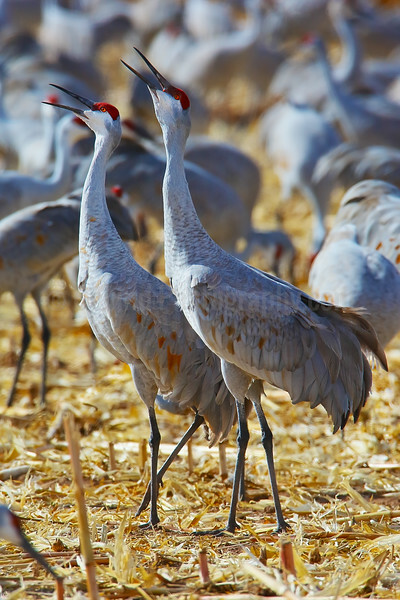 They use this occasion to socialize before resuming feeding. 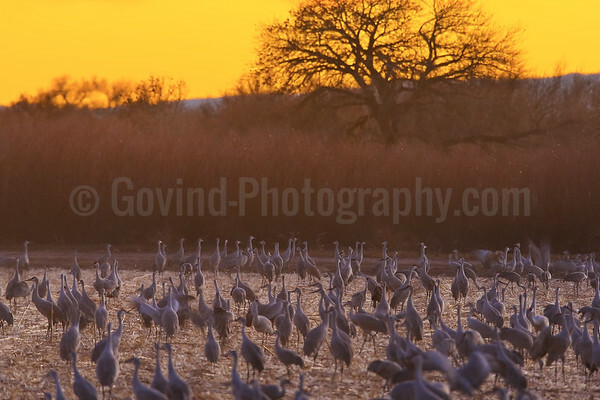 Wintering sandhill cranes gather to feed and socialize on a harvested corn field in late afternoon at the Bosque del Apache NWR. 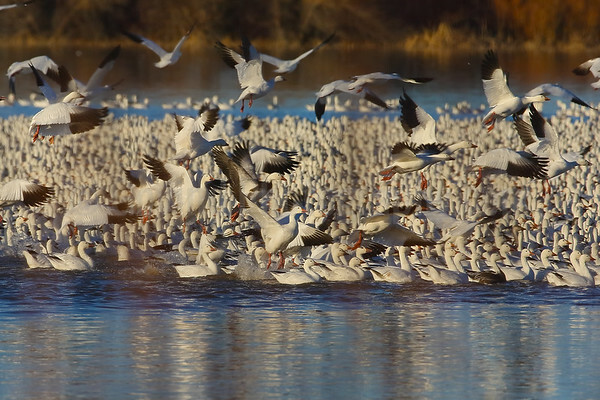 While not as gregarious as snowgeese, socializing such as seen here is an important part of their daily lives. 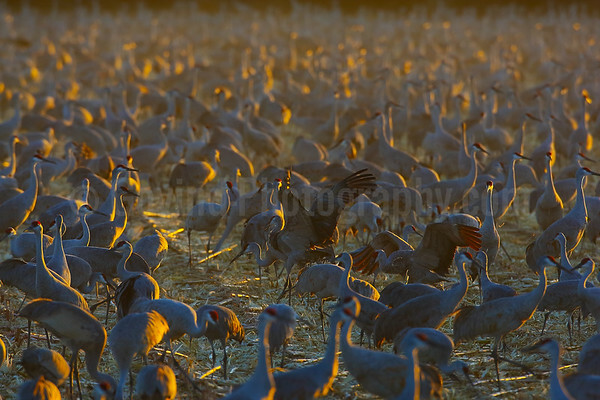 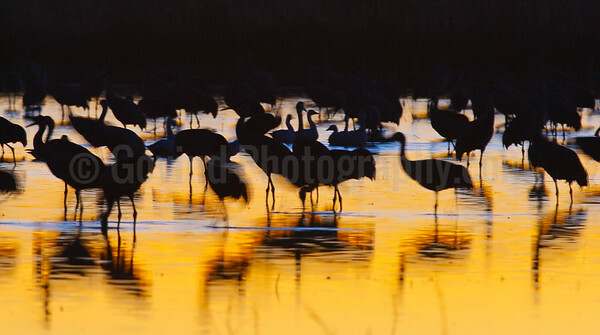 I liked the light from the setting sun, and the chaos and dust created by the cranes for a pleasing scene. 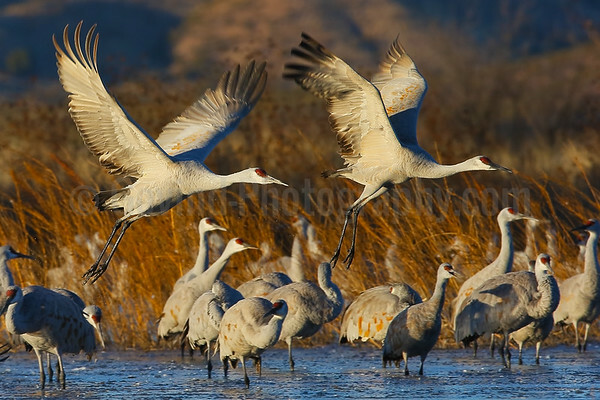 Sandhill cranes land to join their feeding colleagues at a cornfield in the Bosque del Apache NWR. 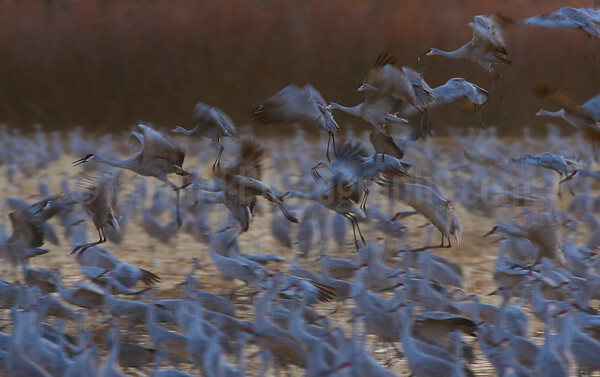 I particularly liked the dynamics in this image that conveys the social behavior of these birds as well as the chaos of feeding at end of the day before going to roost. 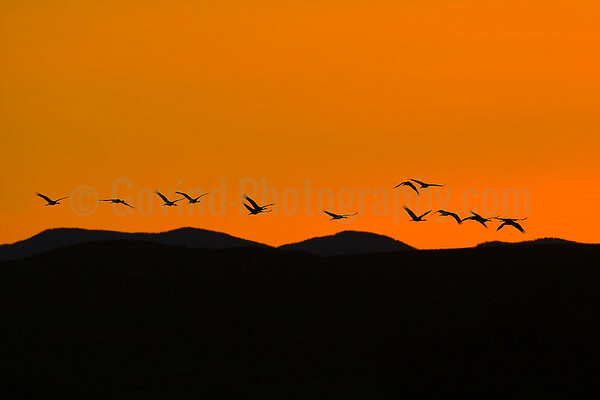 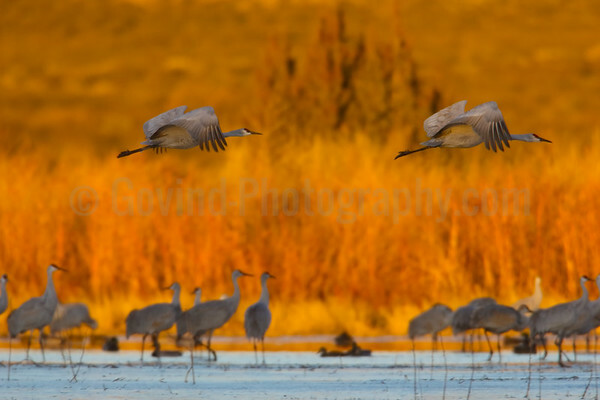 A group of sandhill cranes take off past sundown to their roosting spot at the Bosque del Apache NWR. 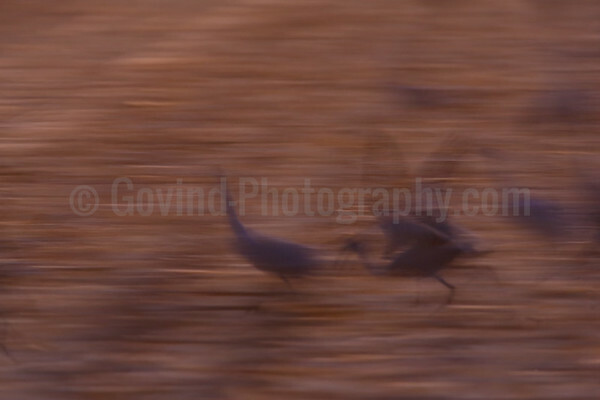 I was shooting long exposure panning shots and liked the combination of the cranes against the cornfield they were feeding on, especially in the evening light.